Herbal Remedies for Cold & Flu Symptoms: What's For Dinner? Did you know the cooking herbs and spices found in your kitchen pantry may prevent you from catching a cold or the flu, or at least ease the symptoms? Why is chicken soup called "Jewish penicillin"? Have you unknowingly dodged winter bugs by sipping your favorite herbal tea? In searching for medicinal herbs that I might use to ease cold and flu virus miseries, I discovered most culinary herbs I keep in regular stock were considered antiviral, which means they strengthen the immune system and either kill, or reduce, the reproduction of virus cells. Further digging revealed that comfort foods for the sick included one or more of these herbal seasonings. According to research at Cornell University by professor Paul W. Sherman, and honors student Jennifer Billings , into the cultural use of spices for meat cooking and preservation, it was found that thirty common culinary spices tested killed, or stopped the growth of, at least 25% of the food poisoning bacterias. A large number killed at least 75% of the bacteria they were exposed to. Please refer to the sidebar information at right for the list of spices tested. You can quickly glance through the list and determine which of your favorite dinner recipes include the most powerful herbs and spices to allow you to fight off colds and flu. 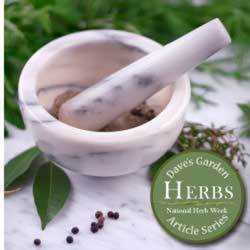 Check the freshness of your dried herbs for the best flavors for cooking and medicinal potency. The fresher the herb, the darker and more brightly colored they are. Pale, grayish brown, herbs should be thrown out and your stock replenished. 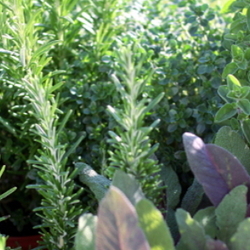 Most dried herbs have a shelf life of one year if kept in a cool, dark, and dry environment. If you examine the herbal ingredients commonly used in the comfort food chicken soup, you can see why it is called “the Jewish penicillin.” Every recipe is a little different, but of the dozens of chicken soup recipes I reviewed, the following herbs were repeated: celery or celery seed, garlic and/or onions, tarragon or dill, black pepper, and bay leaf. Salt was included in all the recipes, contributing flavor, and sodium that may have been lost during feverish sweats. Of course, the chicken and vegetables play a big part in the soup, too, by adding loads of vitamins, minerals, protein, rehydrating liquids, inner warmth, and aromatic steam to open sinuses. When we are sick, it makes us feel better just knowing someone took the effort to make chicken soup for us, it's like getting a hug in a bowl! Dr. Stephen Rennard tested his family's cold remedy, "Grandma's Soup," in the lab to find that there was indeed medicinal value to the claim. 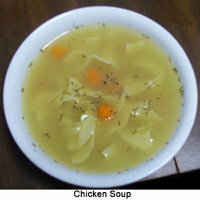 For additional research on the medicinal values of chicken soup, please visit Dr. Stephen Rennard's chicken soup pages at the University of Nebraska Medical Center's web site, where you can get the Rennard's chicken soup recipe, research report, and watch the video. The video is streamed below compliments of YouTube. Although low on the bacterial kill list, black pepper "synergizes" other herbs, increasing their production of antibacterial toxins to be used against the virus cells. What a neat trick! You can use culinary herbs for tea, too! 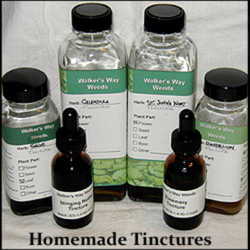 The herbs can be combined to address multiple symptoms and to offset the stronger flavor of one. Choose a cold or flu symptom(s) from the Ailment Chart (sidebar at right) and use one teaspoon of dried herb(s) to a cup of hot water to brew yourself some herbal relief tea. Adding honey, lemon, or apple cider vinegar, creates a more pleasing taste for some, and contributes still more medicinal properties. Honey is an antibacterial, antimicrobial, preservative, coats a sore throat, and has healing properties. It immediately enters the bloodstream, taking the helpful herbal constituents with it, for a much faster effect. Lemon and lime juice, and apple cider vinegar, lower the acid level in the digestive tract making an undesirable environment for bacteria and virus bugs. A very popular Indian spice and milk tea called Masala Chai, is loaded with beneficial herbs and spices, primarily black tea, cinnamon, cardamom, ginger, cloves, nutmeg (or allspice instead of the cloves and nutmeg), and black pepper. There is no set recipe as each family has a special blend of their own design. 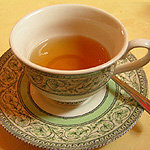 Other cultural teas, such as Russian spice tea, uses black tea, citrus fruits, cloves, cinnamon, and honey. A mug of warm apple cider tea is made with equal parts black tea and apple cider, with cinnamon, nutmeg, and honey. And mulled cider is also made from apple cider, cinnamon, cloves, allspice, and sweetener of choice. All of these recipes change with specific family preference and tradition. Vitamin C from a vitamin supplement, citrus fruits, or many herbs and vegetables. 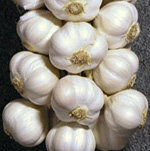 Garlic is the number one herb in antiviral, antibiotic, antibacterial, antiseptic, and antifungal strength. The onion is not far behind garlic in potency. Apple cider vinegar, with the "mother" in the bottom of the jar, is the preferred vinegar for home remedies. Hydrotheraphies: herbal steams to break up sinus and upper respiratory congestion; fomentation, or herbal hot packs (alternating with cool water wipes) on the chest; warm herb baths, and herbed foot soaks help the body's circulation to break up sinus congestion. Horehound mint leaves are used as a tea to break up chest and sinus congestion. Horehound candy does a great job, too, as well as to relieve coughs and sore throats. Aside from the more traditional herbs used for relief of cold and flu symptoms, like: echinacea, licorice, goldenseal, ginseng, elderberry, lemon balm, and hyssops, the culinary herbs in your pantry may prevent illness or help ease the symptoms. So, consider the helpfulness of the seasonings you will use when planning your next family dinner! The information in this article is provided for general information purposes only and does not constitute medical advice. Sherman, Paul & Billing, Jennifer. Darwinian gastronomy: Why we use spices. Bioscience. V:49, I:6, P:453-463. Washington. Jun 1999. Rennard, MD, Stephen. Chicken Soup for a Cold. UNMC. 2000. Van Der Burg, Lukas. The Apple Cider Vinegar Flu Remedy: Bitter, then Better. Apple Cider Vinegar Benefits. Bricklin, Mark. Rodale's Encyclopedia of Natural Home Remedies. Rodale. PA. 1982. Buhner, Stephen H. Herbal Antibiotics. Storey. MA. 1999. Flu Facts. Roche laboratories. 2006-2008. flufacts.com/about/cold.aspx. 19 Dec 2008. Annie's Remedy: essential oils and herbs. 2005-2008. anniesremedy.com/index.php. 19 Dec 2008. Cough Use a towel to cover your head held over a steaming bowl of water with one or more of these herbs, or drink as a herbal tea. dry Use the herbal steam method, or drink as a herbal tea, for Stuffy Nose - Hacking Coughs remedy above.